All hot pep pers in this house are called “spicy mamas”. It miiiiight be because I put them on just about everything — fresh, roasted, stewed, dried, cracked or powdered…on eggs, salad, ice cream, lasagna, juice. Every season, (almost) every meal. That being said, I have a wee confession to make. I pretty much don’t like hot sauce. Tabasco, Sriracha, Cholula, and maybe a couple hundred others I’ve tried through the years. Yes, yes I’ll use them if there’s nothing else around and if my tube of chiltepins escaped from my purse, but I’ll be a bit grouchy about it. There have been exceptions over the years: Yucatecan green habanero concoctions, Pain Is Good specialty sauce that I can’t get anymore because 17th Street Market closed, and most notably my Brasilian friend Antonio’s homemade hot sauce. 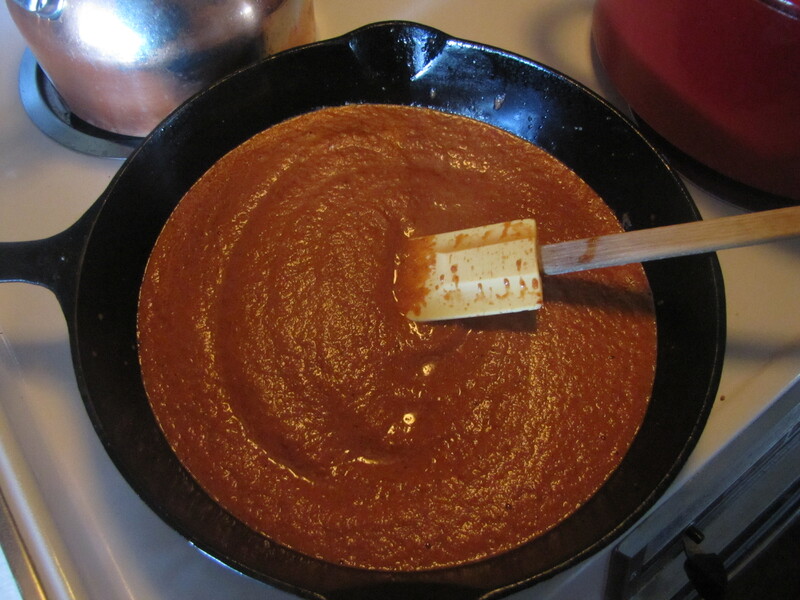 It is a simple puree of olive oil, habaneros, garlic and salt. Yum. I make it frequently with any chiles I have on hand. It keeps pretty well in the fridge and is particularly good with meats and veggies. And I do love that it doesn’t have any vinegar. It is vinegar that ruins most hot sauces. All you taste is the vinegar and the heat is secondary. BOO. 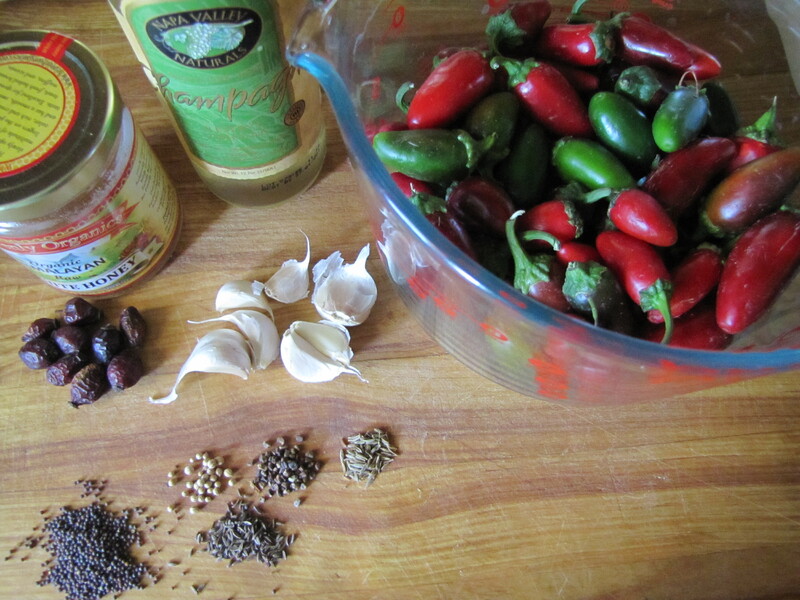 Problem to surmount: you need vinegar to make a hot sauce that will actually keep. So I set out to create my very own signature hot sauce. Now why would a girl who doesn’t like hot sauce make hot sauce? 1. It keeps beautifully. There’s nothing quite like a freshly cracked jar of Spicy Mama when you’re neck deep in Turnip Greens. 2. Sometimes nobody takes their aliquot of spicy peppers from the farm and I have oodles. *Random aside: small peppers (jalapenos, serranos, Jimmy Nardellos) freeze very well un-blanched and whole. 3. This hot sauce is actually good. Meaning delicious. Like ridiculously. Oddly, my favorite variation of this recipe I actually make more often than the original recipe, probably because it’s more suitable for general consumption. Instead of spicy peppers, I use just Anaheims, sweet reds, Jimmy Nardellos or a combination thereof. Everything else remains the same and what you end up with is a delicious marinade which is our hands down favorite for roast or grilled chicken and equally spectacular basted onto roasted or grilled veggies. I often vary the spices, but never the rose hips — they impart a nice tartness that allows for less vinegar. The vinegar I only change if I’m completely out of Champagne vinegar. Varying with apple cider or White Balsalmic is pretty good, but the delicate flavor of Champagne vinegar is by far my favorite. The original Spicy Mama Hot Sauce can be enjoyed like any other spicy condiment — atop eggs, burgers, crackers, potatoes, soups, leftovers, brownies, brushed onto grilled or roasted veggies — whatever needs jazzing up. 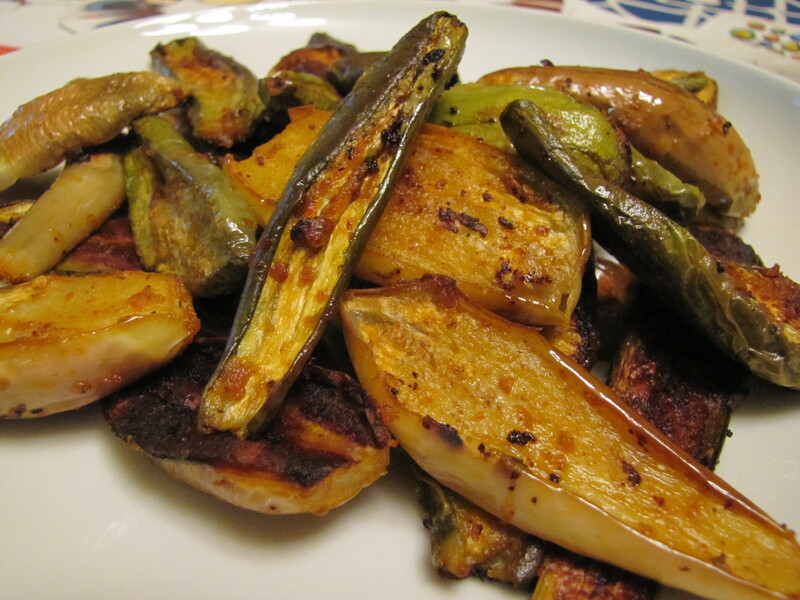 Slice a passel of skinny eggplants lengthwise. You can also use 3/4 in. 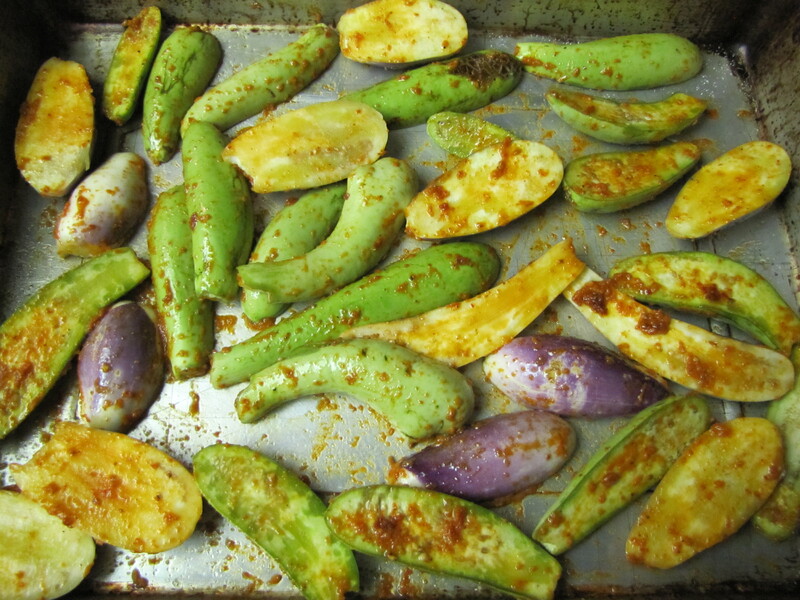 slices of white or purple round eggplants, but the skinny ones are the best for this application. Toss with salt and a tablespoon or two of olive oil and 1 t-1T Spicy Mama Hot Sauce. Bake at 425 degrees for about 20 minutes, until edges are brown and crispy. Too spicy for the small children, but teenagers gobble it up.